Last week, Matt and I took a road trip down to Nashville to hang out for a few days and celebrate our second wedding anniversary. A couple of years ago, we spent a little over 24 hours in the city on the last leg of a southern road trip we took right after our wedding. 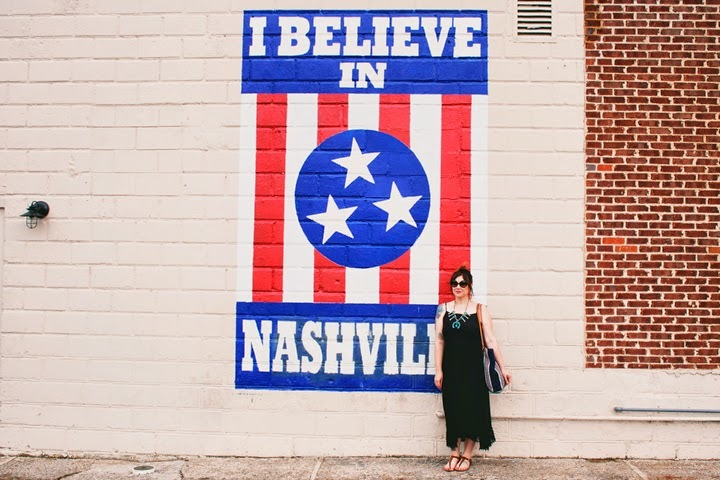 We loved what we saw of Nashville then and vowed to make it back when we could come for a longer stay. So this visit we took our time exploring the city, eating and drinking ourselves silly, stopping in so many amazing little shops and meeting some really cool people. 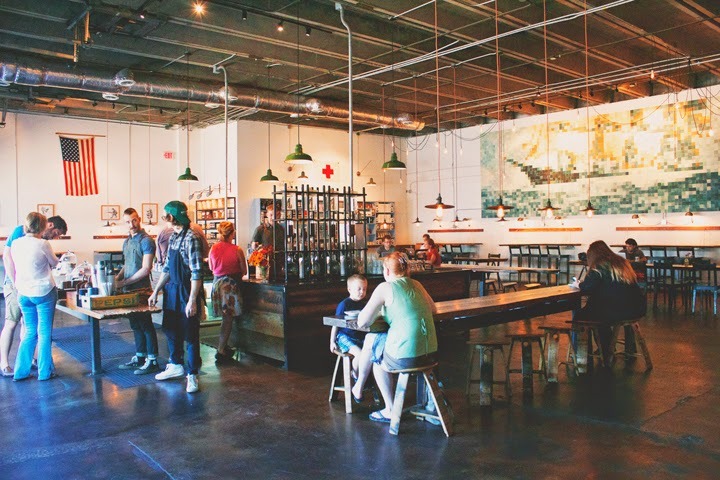 Oh boy Nashville, did you really steal our hearts! We stayed in an (very adorable) Airbnb in East Nashville just a few blocks away from Barista Parlor. I'm pretty sure this could have been the only place we went while in Nashville and I would have been a happy camper. 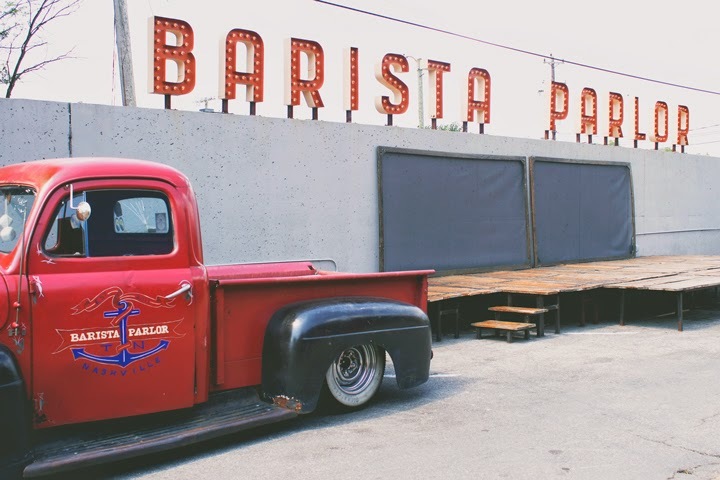 Less of a coffee "shop" and more of a coffee "garage", Barista Parlor serves up one mean iced almond milk latte and some of the best biscuits I've ever had. They have a super cute outdoor area complete with marquee lights and a stage where they will occasionally host music acts in the evening and free yoga in the morning. 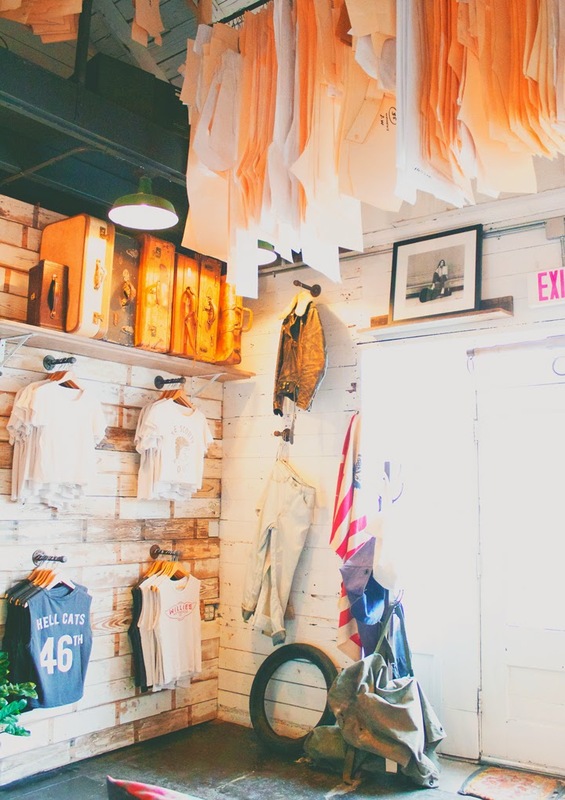 No doubt that you've heard of darling custom denim shop housed in a renovated old gas station, Imogene + Willie. They make the softest most perfectly worn in tees and tanks and the store is so lovely that I just want to move in! If you're in Nashville it's a must that you stop by. And keep your fingers crossed that it's on an evening when they're hosting a Supper + Song event in their backyard! We spent an afternoon in the 12South neighborhood wandering store to store in between short bursts of a truely authentic southern thunderstorm. 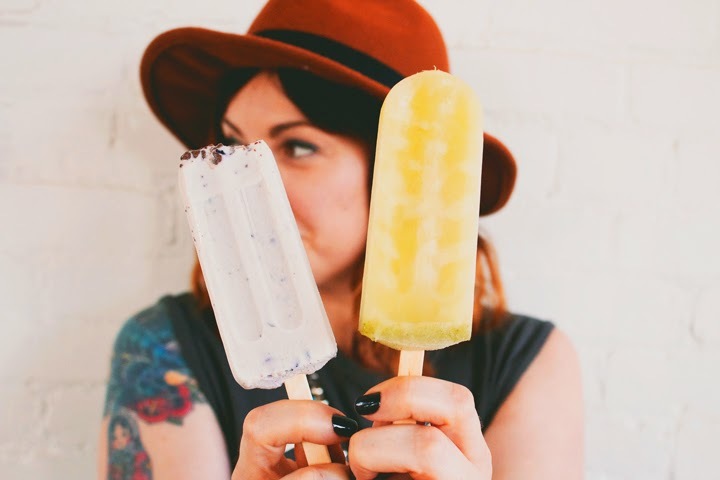 There are a ton of fun places to check out in the area (Savant Vintage, Katy K Ranch Dressing, Burger Up, White's Mercantile) but Las Paletas is worth the visit alone. The best popsicles I've ever had hands down! I tried the lime with mint and Matt had a creamy blueberry chocolate chip. Yum! 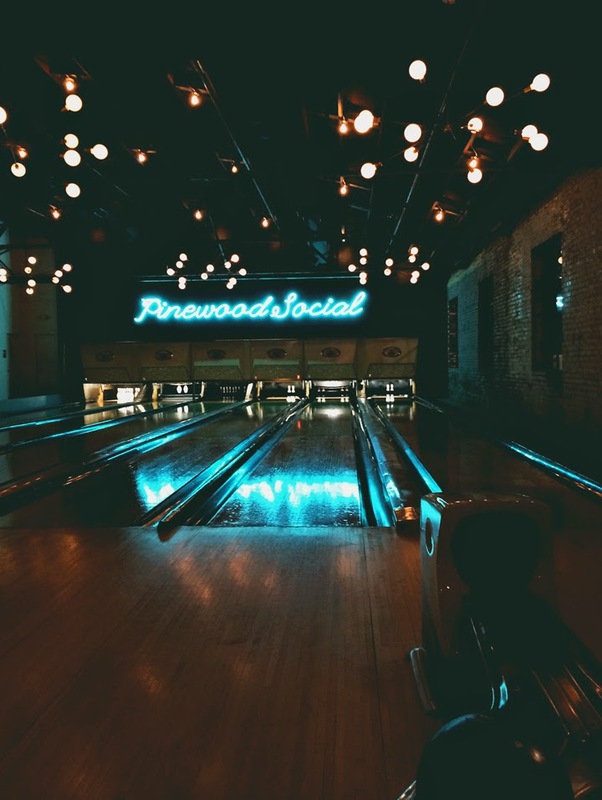 Pinewood Social is inspiringly beautifully decorated, has absolutely amazing food, craft cocktails that are out of this world, and a beautiful vintage inspired bowling alley in the back. They just finished an outdoor patio with a bocce ball court and lots of loungy spaces to hang out in and are in the process of installing a pool. Also, I heard rumors of private karaoke rooms for small parties. So, yep. Pretty much my favorite bar in the world! I had heard so much ranting and raving about Mas Tacos Por Favor but was slightly skeptical about just how yummy these tacos might be. After all, Chicago is definitely not hurting in the delicious Mexican food department, so the little stand had a lot to live up to. Well, believe the hype, y'all! I still think about the fried avocado taco almost every single day and the elotes kind of blew my mind. We had such a blast in Nashville and can't wait to get back for another visit. 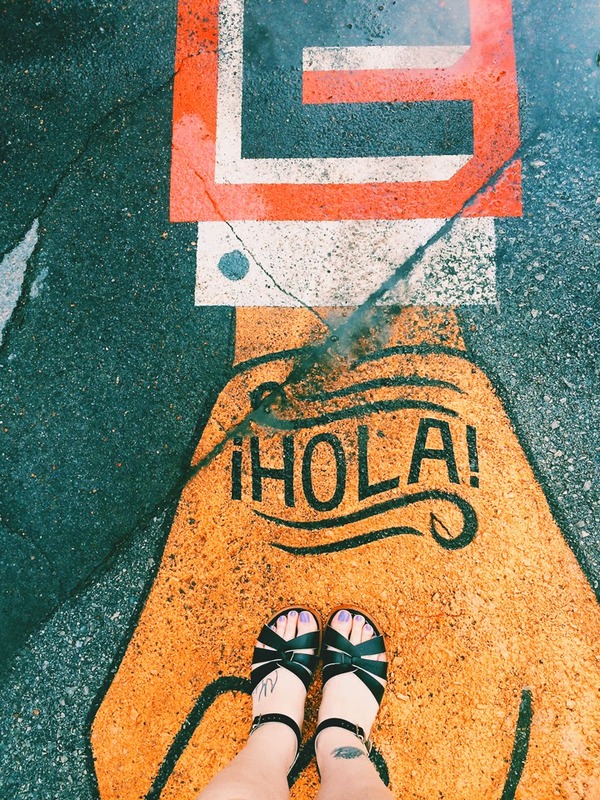 Have you ever been?Where are your favorite spots? Thanks to all our Instagram friends that recommend places for us to check out! Y'all are the best! Your pictures are really nice ! And happy second wedding birthday to you and your husband.